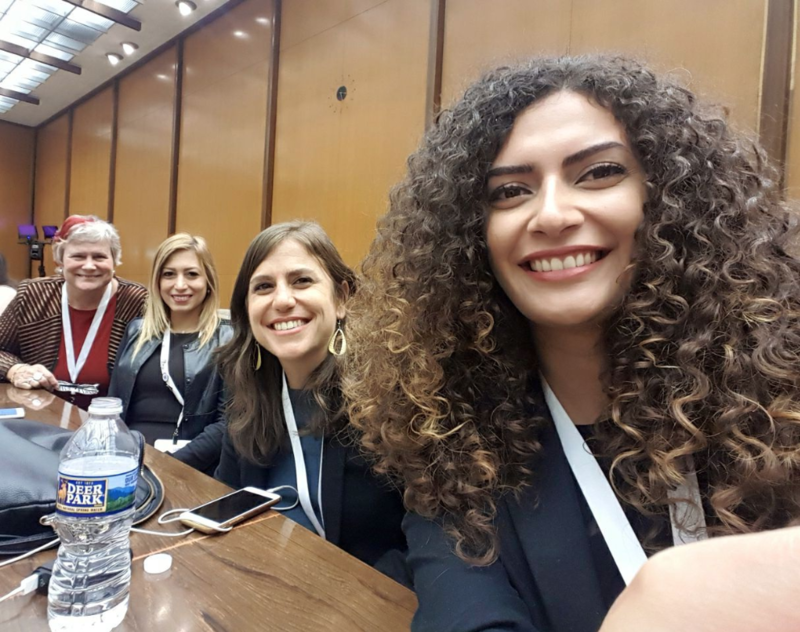 I am very proud of three of my TechWomen mentees from Lebanon who just launched the Solve24 – a new technical camp for teens in Beirut. 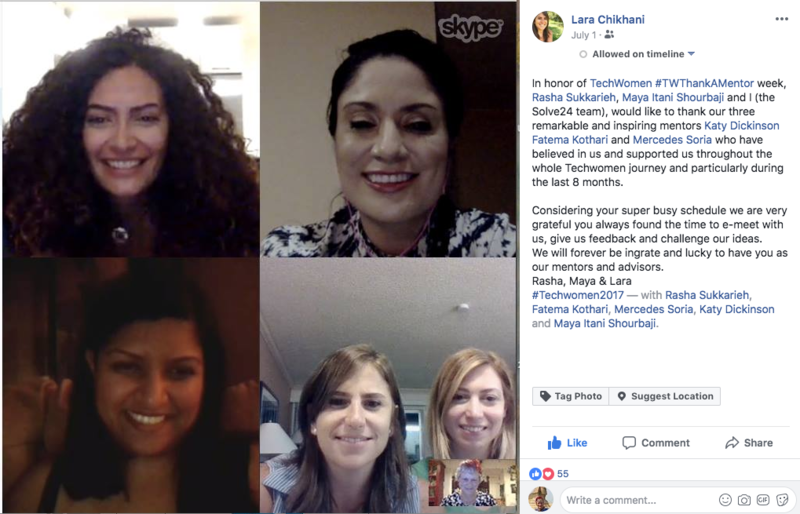 Our 2017 TechWomen Fellows from Lebanon (Lara Chikhani, Maya Itani, and Rasha Sukkarieh) have been working hard – with some advice from their three experienced mentors from the Silicon Valley (Mercedes Soria, Fatema Kothari, and me) for many months to create this new program – while working at regular jobs, of course. 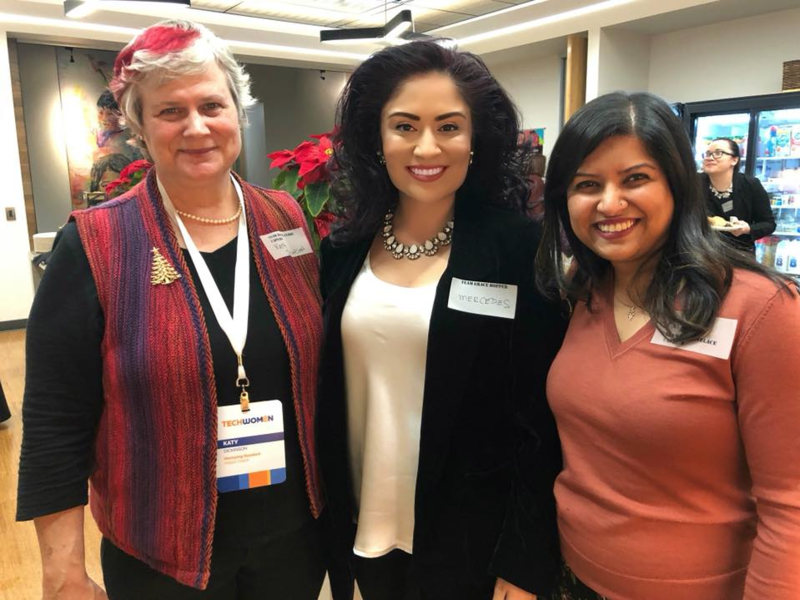 Lara, Maya, and Rasha are inspiring and remarkable and creative leaders! 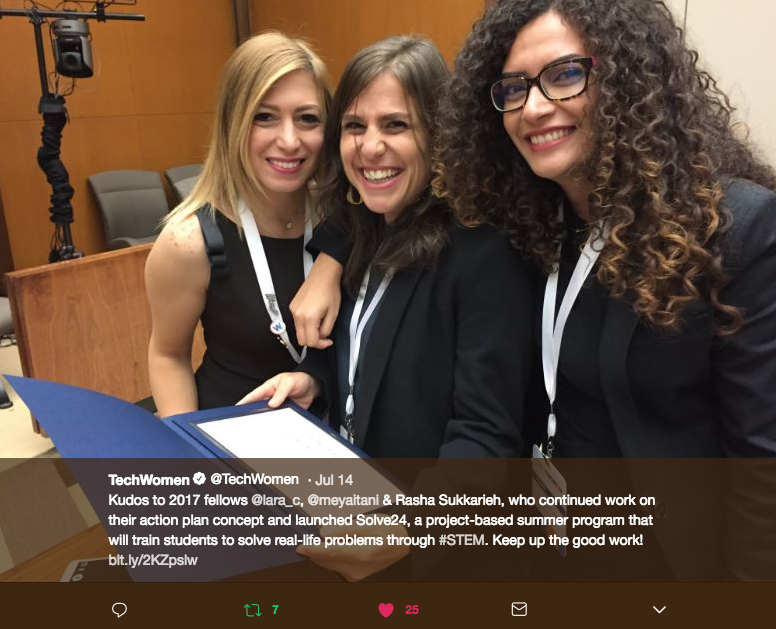 Images Copyright 2017-2018 by Katy Dickinson and TechWomen.